DEATH BY HUMAN—”P-15,” a male mountain lion being tracked by the National Park Service, was found dead and mutilated in the Santa Monica Mountains near Point Mugu. One of the last remaining male mountain lions being studied by the National Park Service has been found dead in the Santa Monica Mountains, a likely victim of poachers. Named P-15 in the NPS study, the lion was discovered on Sept. 11—and officials say it did not die of natural causes. A hiker found the body in the west end of the Santa Monica Mountains, east of Lewis Road near Point Mugu State Park, NPS spokesperson Lauren Newman said. The California Department of Fish and Game has launched an investigation into the animal’s death. Each of the lions in the study wear a GPS radio locater collar, and P-15’s collar stopped transmitting on Aug. 25. Shortly after that, Fish and Game and the Park Service received a call that a dead mountain lion had been found in the mountains. It was the 7-yearold P-15. The lion was first captured in Point Mugu State Park in November 2009 and has used most of the Santa Monica Mountains as his home range during the two years that NPS followed his movements. He was the only remaining male in the Santa Monica Mountains with a working GPS collar. P-15’s death comes on the heels of another mountain lion death: P-18 was killed while attempting to cross the 405 Freeway in late August. Mountain lions are designated as a specially protected species in California, and it is illegal to hunt or trap them. The National Park Service believes there are at least seven other mountain lions in the Santa Monica Mountains including P-12, P-13, and P-19. The National Park Service began studying mountain lions at Santa Monica Mountains National Recreation Area in 2002. A total of 21 mountain lions have been tracked via radio telemetry and GPS collars since then. 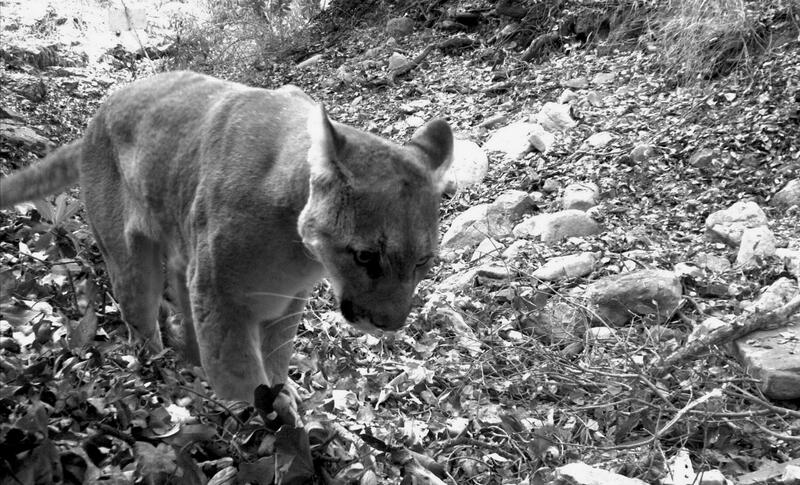 In addition to studying mountain lion movement, a genetics study seeks to discover indications of possible inbreeding among the mountain lion population in the Santa Monica Mountains. California Department of Fish and Game and the National Park Service are seeking information related to the death of P-15 and the parties responsible. The hotline number to call is (800) 334-2258.